Creston Breweries grand opening is set for August 10th, 2016! The hours will be 11:00am-Midnight every day of the week. On opening day there will be 11 different beers on tap. 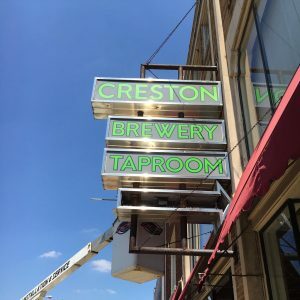 Creston Brewery will offer live music and food including gluten free and vegan options.